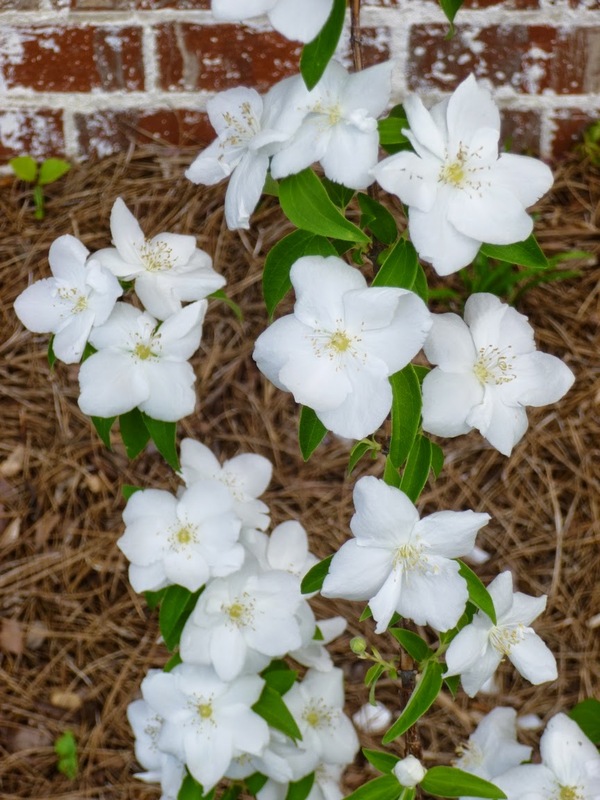 Late last autumn, I went shopping at a local plant nursery and found a heavily discounted 1-gallon Natchez Mock Orange (Philadelphus x virginalis "Natchez") on sale. This is only the Mock Orange's first spring here, but I've been really impressed with the way it covered itself with flowers. Unlike some other Mock Oranges, Natchez does not have especially fragrant flowers, but it is considered a "prolific" bloomer. Definitely fit the bill this year. My understanding is that Mock Oranges are often both tough and fast-growing. So far, it seems plenty tough. I haven't seen much (any) growth yet, but I guess they typically bloom on old growth, so now that the bloom is done, perhaps the growth spurt will come later this summer or in the autumn? Incidentally, my Natchez bloomed for almost a month this year and the flowers are self-cleaning. 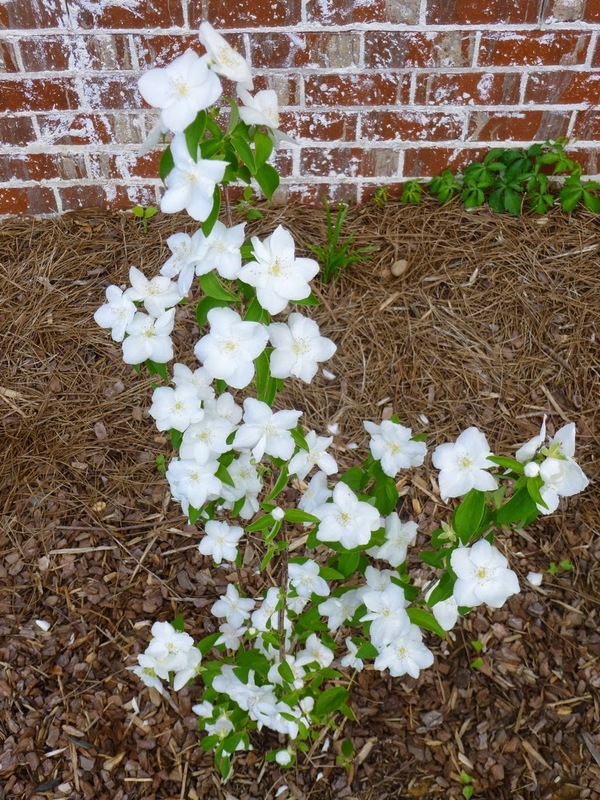 I particularly liked visiting the Mock Orange in the evening when the white flowers are outstanding in the gloaming.